From the dark, cobwebbed recesses of the minds of Wellington’s top improvisers come a whole new weird and wonderful collection of improv formats. 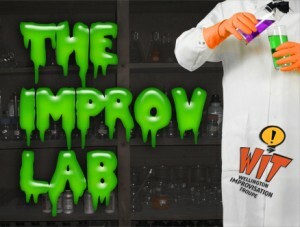 Once again Wellington Improv Troupe (WIT) is at the forefront of freakish creative experimentation with Improv Lab. Each Wednesday night in September witness two completely new Frankenstein-like improv creations in their embryonic stages. Come along and help decide which of these creations should be nurtured into a full length WIT show for 2011… and which should be squashed before it mutates and wreaks havoc on the city. This entry was posted in Other formats, past shows on September 8, 2010 by MaDmin.